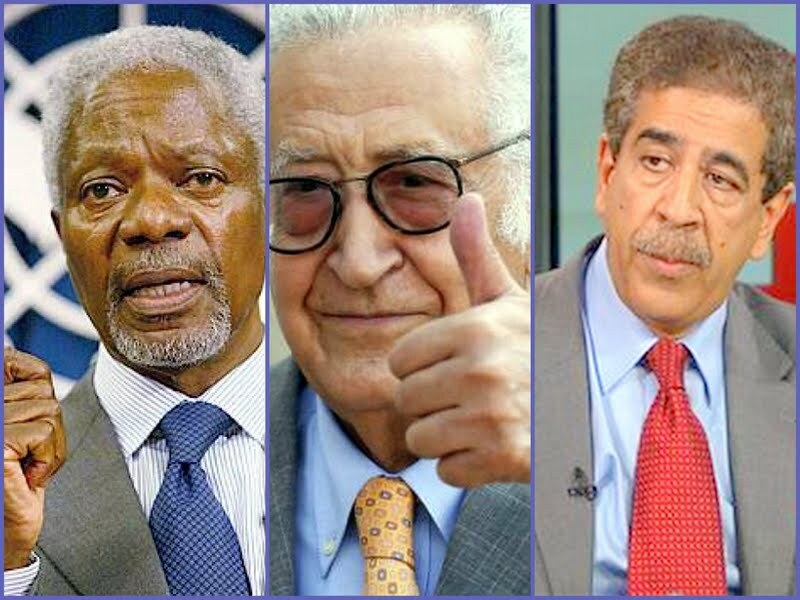 THE FACT: Joint UN-Arab League troubleshooter Lakhdar Brahimi will Friday update the UN Security Council on the situation in Syria. THE BUZZ: Brahimi hopes to be mandated as a UN envoy without any official link to the Arab League. THE WHISPER: Brahimi will Friday do a Kofi Annan and be relieved by his deputy Mokhtar Lamani. Brahimi, who is expected to offer the Security Council another bleak Syria report on Friday, reportedly feels the Arab League’s recognition of the Syrian opposition has undermined his role as a joint mediator. "The joint special representative feels the Arab League approach makes it difficult for him to carry out his mandate," a diplomat told Reuters on condition of anonymity. "He feels that it would be best to be associated only with the United Nations at this point to ensure his neutrality." There have been rumors circulating for weeks that Brahimi might resign, though diplomats told Reuters his preference was to remain involved in Syrian peace efforts through the United Nations, an organization he has worked with for decades. The Syrian Opposition Coalition, recognized by the Arab League as the sole representative for Syria, attended the Arab summit and opened its first embassy in Doha last month in a diplomatic blow to President Bashar al-Assad’s regime. Al-Akhbar journalist Radwan Mortada quotes unnamed sources as saying Brahimi’s resignation at Friday’s closed session of the Security Council “is now inevitable.” And Brahimi’s deputy Mokhtar Lamani would most likely take over the Syria peace-brokering mission. Distinguished Moroccan career diplomat Lamani currently heads Brahimi’s Damascus office. A Senior Visiting Fellow at the Center for International Governance Innovation (CIGI, Canada, Ontario), Lamani served in 2006 as Special Representative of the Arab League in Iraq, where he tried to persuade its bitterly divided Shiite, Kurdish and Sunni leaders to make peace. He failed and resigned in February 2007. Mortada quotes extensively from a January 2007 think piece by al-Akhbar co-founder, the late Michel Samaha, blaming Lamani’s resignation then on feeble support from the Arab governments that hired him. In his Jan. 22, 2007, resignation letter, a copy of which he gave to The Associated Press, Lamani said of the Iraqi leaders: "My only problem was their own relations with each other, their strong feeling that each is a victim of the other." He also faulted the Arab League member-states, telling AP they did not give Iraq "the necessary priority or seriousness." Arab governments were so detached from Iraq that it was "as if it were on the moon," he said.